Thank you for visiting our website. We are a local independent electrical wholesaler who pride our self on delivering a first class service. We carry an extensive range of electrical equipment all stored in our 3500 sq ft warehouse, based in St Helens. Call in to our trade counter and speak to one of our friendly staff. Ask to see our LED lighting display. 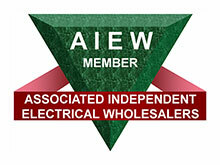 We are a local, independent Electrical Wholesalers based in St Helens. We are run by friendly, experienced and highly motivated staff who have over 40 years combined wholesaling experience. We carry a comprehensive range of electrical equipment on stock and can order through our extensive supply network. "We pride ourselves on our service and value each and every customer, regardless of company size." We stock a wide range of electrical products from many of the world's leading electrical supply companies. View our online catalogue by clicking on the link below. Or call us on 01744 732138 for more detailed information. 3D Electrical Supplies has built up a considerable base of happy customers. Please check out our testimonials.